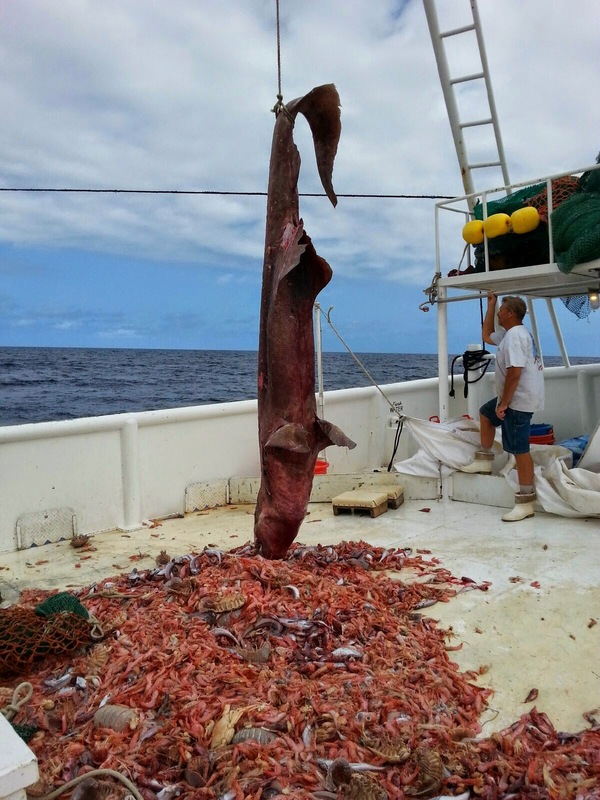 A shrimp fisherman off the Florida Keys made a rare catch in his net recently, pulling up the world’s ugliest fish and rarest species of shark. 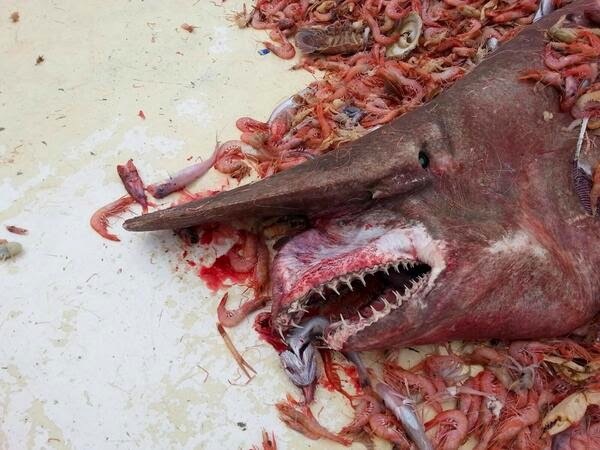 In the net full of red shrimp was an 18-foot goblin shark, a bottom-dwelling shark rarely seen at the surface or in shallow coastal waters—and extremely rare to the Gulf of Mexico, so much so that the scientific community was abuzz with amazement over the catch. NOAA Fisheries Service reported that it was only the second goblin shark of record in the Gulf of Mexico. The first was captured on July 25, 2000, by commercial fishermen in more than 3,000 feet of water. The unusual by-catch was that of commercial fisherman Carl Moore, who had brought in his net from more than 2,000 feet of water, according to David Shiffman of Southern Fried Science. So Moore instead took photos of the world’s ugliest fish, winched it over the side of the boat, and released the bizarre-looking fish, which swam away. 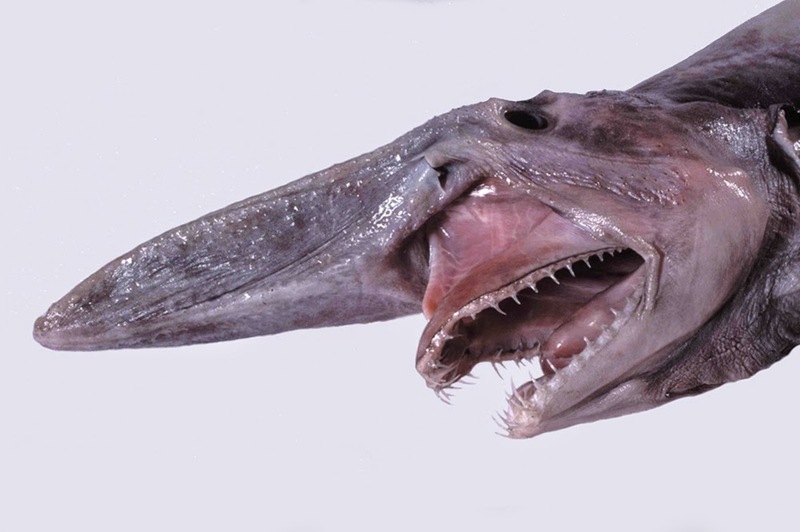 Scientists were grateful the prehistoric-looking goblin shark was released alive, but disappointed over not being able to examine it and learn more about the ugly fish. Carlson called the catch, which was actually made April 19 but not reported to NOAA until Thursday, great news. “This is only the second confirmed sighting in the Gulf; the majority of specimens are found off Japan or in the Indian Ocean and around South Africa,” Carlson said. Moore also offered one of the more humorous descriptions of the goblin shark to a NOAA scientist, saying, “It was uglier than a mother-in-law,” according to Shiffman, a graduate student in Florida studying shark conservation and a popular shark blogger. World’s ugliest fish is a little more politically correct. What makes it the world’s ugliest fish? Their unusual head, with an elongated, flattened snout and protruding jaw with sharp rows of teeth. Wow that thing looks disgusting. I bet those teeth could do some damage too.